We created a unique activation based on a 360 degree camera - The public had the chance to channel their inner rockstar and pose for the ultimate photo which could then be shared with friends in a number of ways. The essence of ‘rock and roll’ was captured with the addition of rock props, rock temporary tattoos, fragrance scented wristbands and DJ’s playing rock/pop music. There was a lively, energetic vibe throughout both the Wireless and Reading festival weekends with a chance for the best ‘rock and roll’ customer to win a side of stage viewing experience. 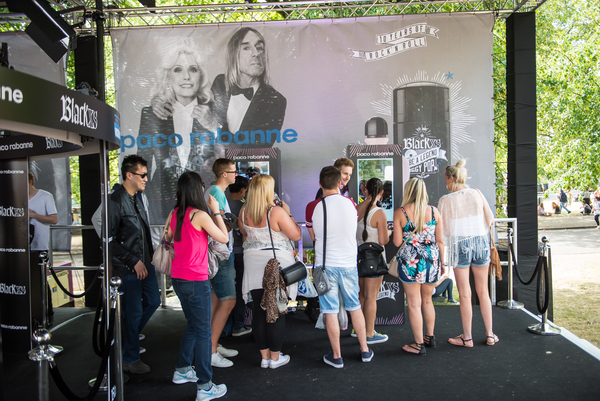 This popular activation was a huge success providing consumers with a memorable experience. Full activation and social delivery including production design, build and management, staffing, content creation and online sharing, data capture, budget management, artist booking.